Seaside location makes this 16th Century Inn a favourite with local diners. 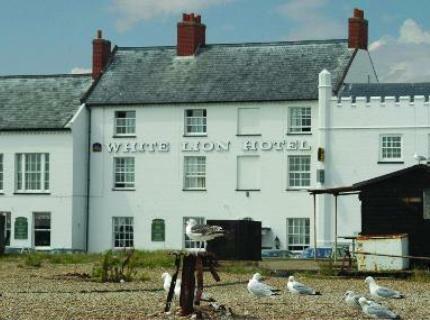 Four reasons to stay at this classy beachfront gaff in Aldeburgh. Quiet seaside location with Blue Flag shingle beach just a minute or two from the hotel fresh fish and local catches sold daily. Bright and stylish guest rooms designed by the Design Coalition, specialist interior designers. Award-winning bar and brasserie with a creative ‘back-to-basics’ bent focusing on fresh, local and seasonal produce Kippers from nearby Orford.